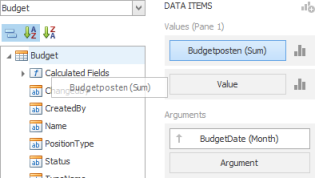 To bind dashboard items to data in the Dashboard Designer, use the Data Items pane. This pane displays data sections of the selected dashboard item and can be used to add, rearrange and remove data items. Specific data sections display options buttons for each data item. Use these buttons to invoke a dialog that allows you to customize the settings of this data item. 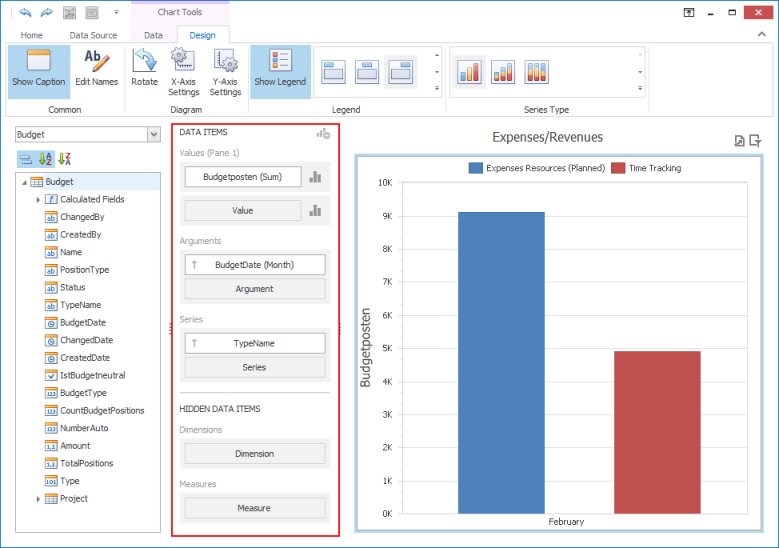 To bind a dashboard item to data, select the dashboard item. Then choose the required data member from the Data Source Browser and drop it onto the appropriate section in the DATA ITEMS pane. Binding dashboard items to data in the designer - InLoox • Copyright 1999-2019 © InLoox, Inc. All rights reserved.